So you've had a fantastic time with your 4WD in the bush, tackled some challenging tracks and found some fantastic camp sites. You tell your mates about your trip and they get excited and want to check out these great spots too! Because you were using Mud Map 2 on your iPad or iPhone, sharing this info is easy. 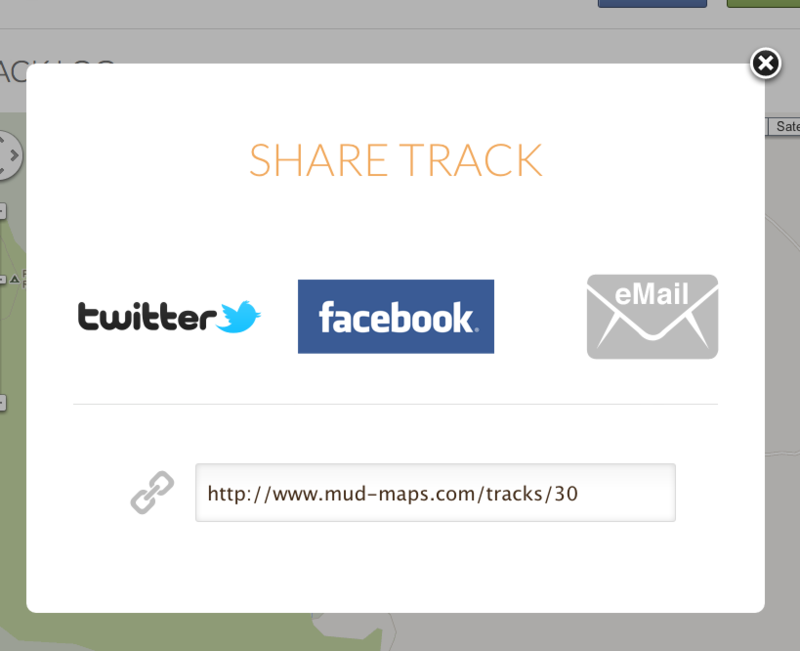 Start Mud Map 2 and go to Menu > Track > Select the track you wish to share and tap "UPLOAD"
Go to www.mud-maps.com, sign in and go to My Account > Tracks. Your track will be there, click on it to view it. Then choose Facebook, Twitter or Email. You can also just copy the URL, and share it anywhere you like, for example Forums, club newsletters, etc. You mates can just click the URL to see the track on their PC or Mac. Unlike most other products, they don't need to install any special software to view it. They also have the option to add it to their Mud Map account or download it as a gpx file. Once it's on their account, they can download this track into Mud Map 2 and give it a go themselves. Sweet! Same goes for Pins, simply drop a pin, upload and share. Got some great Tracks or Pins? Share it with us on Facebook.